Obama fracking regulations: Public land covered. 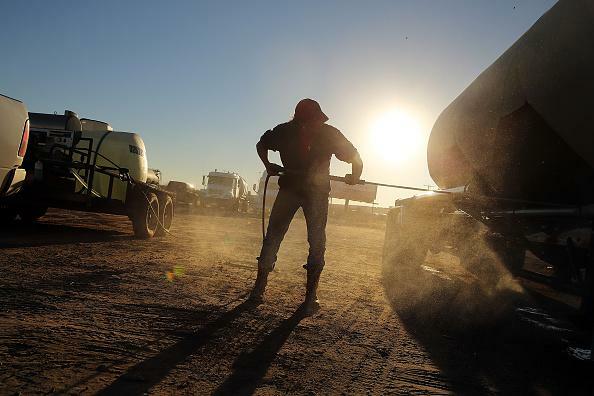 A man in Texas washes a truck used to carry sand for fracking. The regulations, which are to take effect in 90 days, will allow government workers to inspect and validate the safety and integrity of the cement barriers that line fracking wells. They will require companies to publicly disclose the chemicals used in the fracturing process within 30 days of completing fracking operations. The rules will also set safety standards for how companies can store used fracking chemicals around well sites, and will require companies to submit detailed information on well geology to the Bureau of Land Management, a part of the Interior Department.